A Donor Advised Fund (DAF) provides a structure that can simplify charitable contributions and grow tax-free. This type of Fund has the flexibility to support diverse charitable interests that the donor recommends. Generally, be more strategic with the resources they want to use to support the community. What Are the Top 5 Benefits? 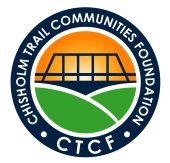 If you choose to have your Fund invested at CTCF, any gains achieved by the Fund are tax-free growth that you can use to further support charitable organizations. Each month you will receive a report showing the activity of your Fund, tracking both deposits and distributions. *Past returns are no guarantee of future performance. A Donor Advised Fund (DAF) at CTCF qualifies as a recipient of an employer charitable matching program. Check with your employer to determine if they have a charitable matching program and how much they match annually. In lieu of birthday, anniversary or holiday gifts, invite family and friends to donate to your Fund, and then experience the joy of giving to organizations that address the community needs most meaningful to you! If you have proceeds from a stock sale that you are planning to donate, be sure to consider gifting the stock directly to your Fund. Instead of selling the stock, paying taxes and then being left with a smaller amount to donate, verify how long you have owned the stock. When you gift the stock directly to your Fund, you may not have to pay capital gains tax if you have owned the stock longer than one year or ordinary tax if less than one year. Essentially, a DAF allows you to separate your TAX planning from your CHARITABLE planning. When you make a donation to your DAF, you take the tax deduction immediately, but you do not have to make equivalent distributions from your Fund in that calendar year. You can "bunch" or "bundle" your donations to mazimize changes in the tax law in one year, while planning to distribute the dollars to nonprofit organizations in subsequent years. See "Strategy #2" for details. Who are the primary advisors for the Fund? Do you want the Fund to be invested? Administrative costs for a DAF. To review a copy of the Fund Agreement or for more information about a Donor Advised Fund, call or email Julie Johnson at (512) 863-4186 or juliejohnson@chisholm-trail.org. While we share giving concepts, we do not provide legal, tax or financial advice.